Presenting you another article in our “Chord of the Week” series, where we share a new guitar chord every week, exploring its history, its relevance, how it’s played on the guitar, its major scale, some common chord progressions, and a few popular songs in its key. The A – major chord! Think of this key as the feeling you get when your darlin’ has to get back on the bus. Sure, you miss your earth angel already, but you know he or she will be back in your world before you know it. Why? 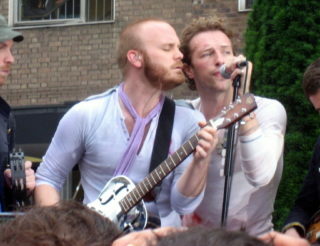 Because life is good and somebody up there cares. That’s the emotional quality of much of the music written in the key of A. Not quite as popular in classical music history as keys with fewer sharps (like D and G), A Major does have its place. 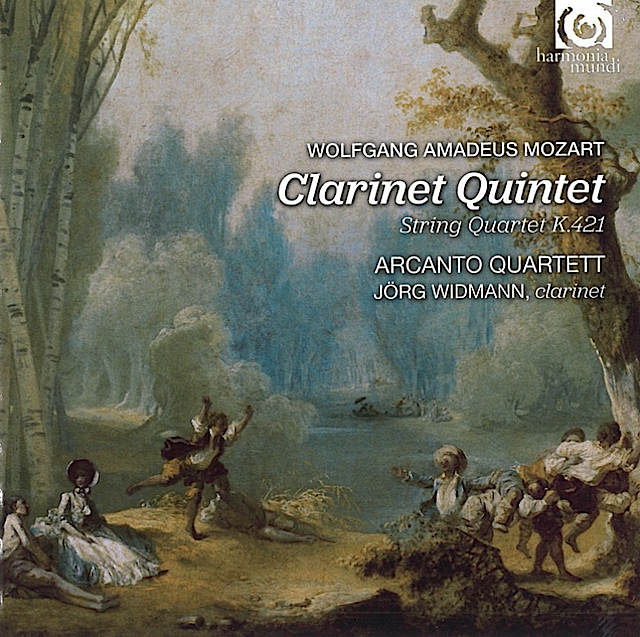 A Major wasn’t so often used in the Romantic Era (it’s the key of Beethoven’s famous 7th Symphony and Mendelssohn’s 4th, but little else), but it was Mozart’s favourite key for clarinets and he stuck to it when wriitng music specifically for this instrument. It’s often found in chamber music (notably for composers Schubert, Dvořák, Brahms, Franck, Fauré) perhaps because it’s considered the simplest key for violins and is reputed to have the fullest sound. 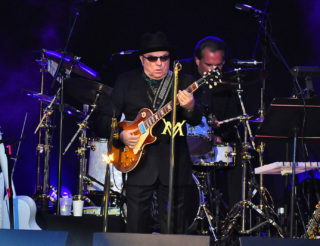 In popular music you naturally find it among bands with an optimist twist but also, ironically, with bluesier performers like Eric Clapton and Adele (its slightly earthy character almost rivals the key of E). The key of A, with only three accidentals— sharps— is fairly easy to play on the guitar, and it’s an easy key to sing in. emotional connections. Learn everything you need to know about about major scales and how they work. 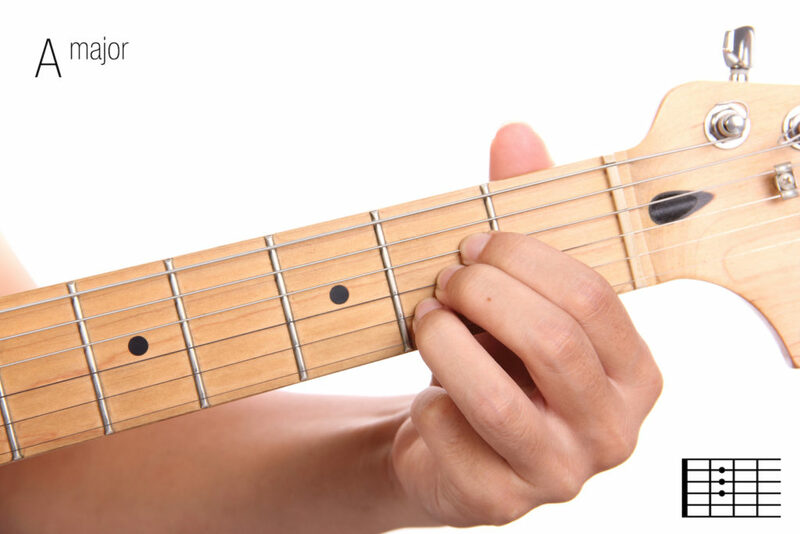 It looks simple enough, but playing the basic A Major chord can be a little tough if you’ve got large fingers, as your second, third, and fourth fingers have to crowd close together without touching the other strings. But if you’re finding that the A chord is tough to play, don’t worry— any chord is playable with practice! Even better, the Uberchord app (click for free download) can reduce the amount of practice needed by listening and providing you real time feedback. You can also take comfort in knowing that later on when you find yourself having to play progressions of chords that are hard to switch between, you can program in the progressions themselves and get helpful feedback that helps you improve. Check out the five great tips to help you learn new chords. 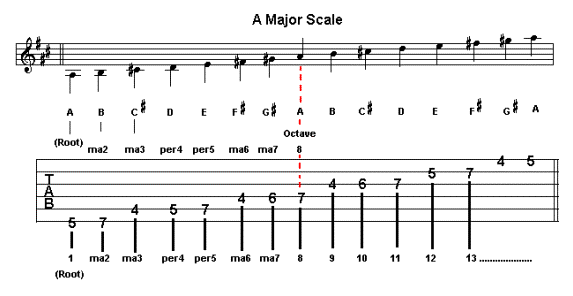 In other words, at the third and the seventh places in the scale there’s a half tone, and at all the other places there are whole tones. All major keys follow this pattern. This means that the scale of the key of A is made up of the notes A, B, C#, D, E, F#, and G#. Voilà— the A major scale, with A at its root and another A, an octave higher, at its pinnacle. If you are having difficulties memorising your guitar’s fretboard notes? Here is a secret technique which is used by many pro guitarists around the world to learn the fretboard. The A Major chord, which forms the root of the A major scale, is made up of the notes A, C#, and E— the first, third, and fifth notes of the key of A. On the guitar, using this basic A chord position, these notes arrive in this order: E, A, E, A, C#, and E.
Feeling baffled? Our blog has a great series of music theory articles to lead you through the labyrinth. Knowing the theory behind the practice of music playing will help you to be a better musician and give you the sense of comfort and clarity that comes with knowing what it all means. Learning music theory on the side is a great complement to using the free Uberchord app! Why are the B, C#, and F# chords minor? Because in the major scale the chords at the second, third, and sixth positions of the key are minor. They just are. Why is the G# a diminished chord? Because in the key of A it sits in the seventh place, and in major keys, all seventh place chords are diminished. 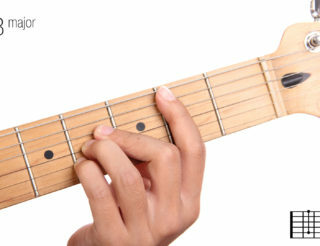 Adding the seventh note of the key of E (D) to the E chord, creating a E7, makes the E sound a little more topheavy, as if it’s about to fall over onto the root chord (A) that usually comes next in the chord progression, or, in cases where no chord comes next, giving the musical phrase an unresolved, “dangling” kind of sound. Here is out previous post on understanding and playing 7th chords and if you want to go more deeply into chord progressions, don’t miss series on learning and understanding music theory. After your Uberchord lessons you can take a little time to experiment with the following progressions to get a feel for how the chords create a sense of beginning, rising, falling, and ending, depending on their context. So let’s have another look at the chords in the key of A: A major, B minor, C# minor, D Major, E Major, F# Minor, and G# Diminished. Obviously you can’t just start playing all these chords and expect to make celestial-sounding music. The following are a few common chord progressions in this key. Most of the songs you hear are made up of combinations of these and other chord progressions. As you play them and get used to their sound, you’ll hopefully realise that you’ve heard these progressions before in many different songs. A, E, F# minor, D.
A, F# minor, D, E.
A, E, F# minor, C# minor, D, A, D, E.
F# minor, D, A, E.
F# minor, E, F# minor, E.
Have you noticed yet that each key— and even each chord— that you play has its own particular emotional character? Not everyone is capable of picking up on this, but if you do notice it, consider yourself one of the lucky ones who can respond to music’s more subtle nuances! For a sense of transcendent, in-spite-of-it-all joy, you just can’t beat A major. Make it your friend—you won’t be sorry. And if you haven’t downloaded the Uberchord app yet, here are five great reasons why you should! Thanks! Stay tuned— there’s more to come!